Oświęcim was tried cruelly during World War Two. Under Hitler's decree of October 8, 1939 the Polish town of Oświęcim was annexed to the German Reich and turned into model German Town of Auschwitz. The former concentration camp Auschwitz – a product of Nazi hatred from the years 1940 ­- 1945 is a part of the Third Reich and symbol of the biggest extermination in the history of humankind. It was the largest deadly prison of all time, where the Nazis could have murdered even one million people. Among them, there were Poles, Jews, Gypsies and other nationalities. In 1947, almost immediately after the war ended, the camps were transformed into a museum. 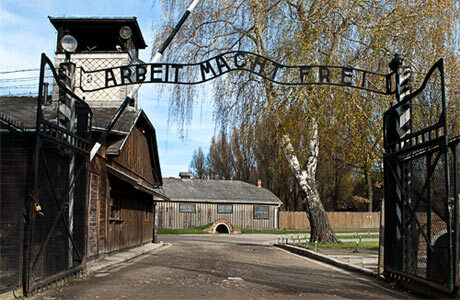 In 1979, the State Museum Auschwitz­-Birkenau was put on the UNESCO World Culture Heritage List. The terrain of the former camp is visited each year by over one million people. Everyone should see this Memorial Site once at life. Advice: There are two ways to explore Auschwitz-Birkenau Museum: a tour with a guide or without one, independently. Entrance without a tour guide is free of charge. To get to the Museum at a proper hour, a departure between 8 and 10 a.m. is advised. 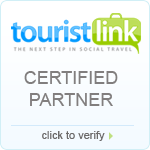 You will share vehicle with other people (max.8 pax), which is the cheapest way to visit Auschwitz-Birkenau. After confirming your reservation, on a scheduled day and hour our driver picks you up from your hotel. Whole trip takes 6h, including journey and sightseeing. You don't have to worry about tickets, we will book it in advance for you. You will join to English guided tour. Please note, that the maximum size of backpacks or handbags brought into the Auschwitz Museum can not exceed dimensions: 30x20x10cm. Duration 6h. All prices presented in the table above are in Euro/Zloty, per trip. Admission fees with English speaking guide are included in the price. All prices presented in the table above are in Euro/Zloty each per person. Admission fees are included in the price, You don't have to worry about tickets. Please have a look also for other type of trips here. Auschwitz-Birkenau Round Trip Half Day (without guide). Now when you know all the details of our offer you're ready to book!